Torrevieja tops the list for Brits buying in Spain - thanks to it´s affordable homes and beaches - but Marbella and Mijas were close at number 2 and 3 respectively. Both Marbella & Mijas benefit from excellent flight connections throughout the UK & Europe, and are also hugely popular with Golfers, who enjoy the many international standard courses in the area. 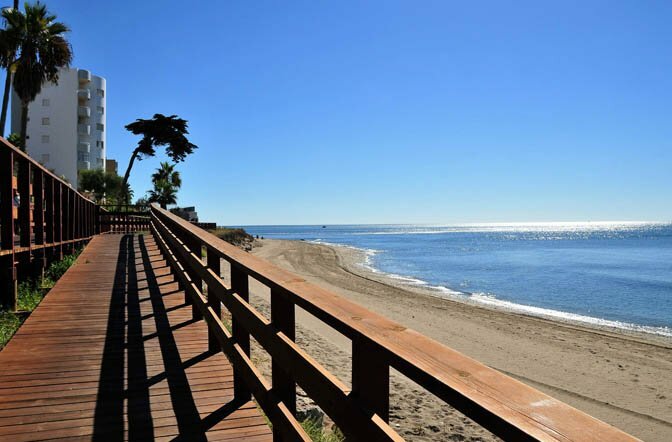 Both Marbella & Mijas also have excellent access to amenities, which make moving abroad a much easier experience. Mallorca´s Calvia came in a close fourth in the poll of British buyers purchasing in Spain. Spain´s overall tourism broke all records, with 10.5 million tourists arriving in July – 10% more than last year´s figures. British holiday makers were the highest demographic, with over 2.3 million visitors. It´s not only foreigners who are now purchasing holiday homes, as over 13% of homes sold were to local buyers – according to Fotocasa. This suggests the Spanish economy overall is improving. 34% of those buying intend to take advantage of rising rental prices, and are purely using the property as a solid investment. “The holiday rental market is one of the reasons why rental prices are rising so fast,” explains Beatriz Toribio, head of research at Fotocasa.